Abby Huntsman said Pelosi has an important role in getting the party to agree on a 2020 presidential candidate that can relate to all Americans. "She's got a real opportunity, Nancy Pelosi, now in the leadership position... if I were her I would learn something from Republicans," Huntsman said -- referring to the fracturing the GOP has been facing under President Trump. 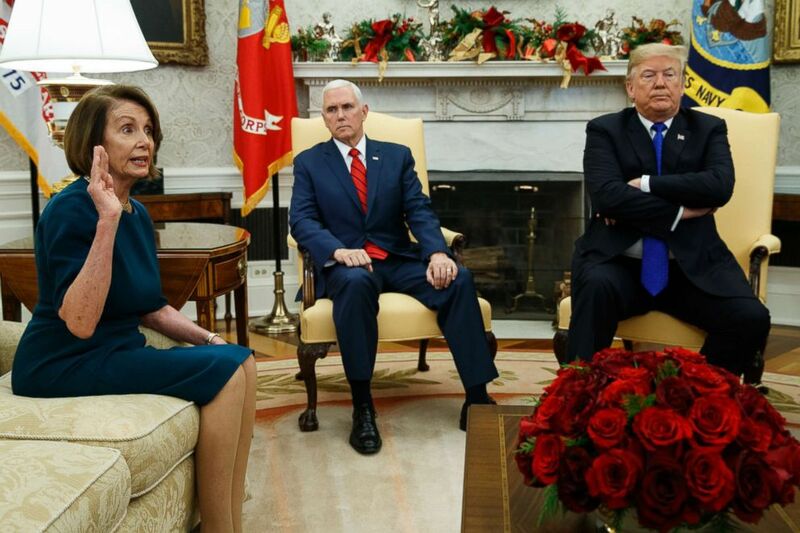 Vice President Mike Pence listens as President Donald Trump argues with House Minority Leader Rep. Nancy Pelosi during a meeting in the Oval Office of the White House, Dec. 11, 2018, in Washington. "I love it when there's a strong Republican and Democratic party because that's when the country is at its best and we can have actual disagreements," Huntsman said. "The problem right now is both parties... are so split up, we're sitting in a shutdown because everyone's playing politics." Whoopi Goldberg said she liked what Alexandra Pelosi, said of her mother the incoming speaker in an CNN interview: "“She’ll cut your head off and you won’t even know you’re bleeding." "The reason is, she's got five kids! She raised five kids, so she knows how to deal," Goldberg said. 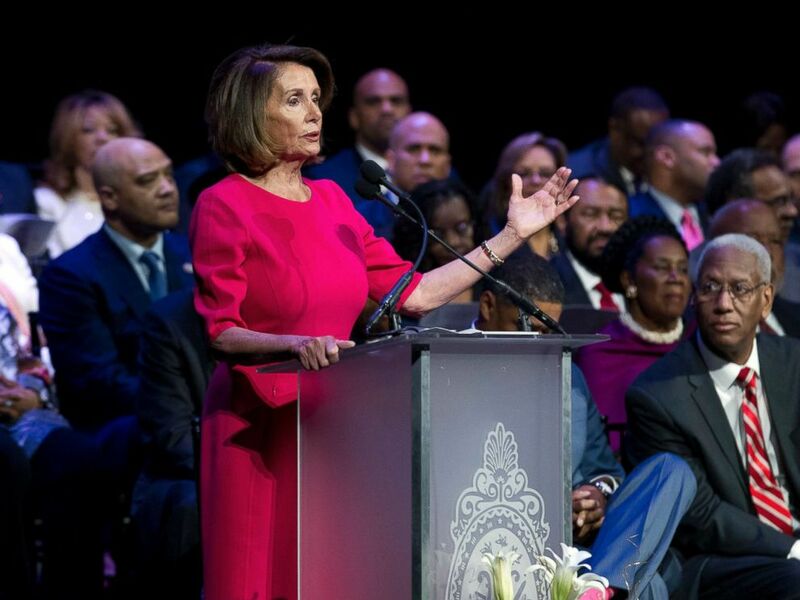 House Minority Leader Nancy Pelosi speaks during Congressional Black Caucus members swearing-in ceremony of the 116th Congress at The Warner Theatre in Washington, Jan. 3, 2019. She also weighed in on resistance from within the Democratic Party to Pelosi's leadership, including that from newly-elected Rep. Alexandria Ocasio-Cortez. "A lot of the new Democrats coming in have a lot to learn," she said. "I think that everybody wants to feel like they're gonna come in and make a difference but politics as you know, politics you have to learn how to do this." Ocasio-Cortez has been critical of Pelosi's plans to create a Select Committee on the Climate Crisis. She is joined by others, including Rep. Ro Khanna of California, in opposing the rules package over a budgeting provision that allows objections to legislation that increases the deficit. Joy Behar believes that Democratic infighting, for now, is "a healthy disagreement." "There are disagreements in both parties right now," said Behar.